At a time when international organisations may be rethinking investments in SA, Microsoft has announced plans to break ground in Johannesburg and Cape Town to build its first hyperscale datacentres in Africa. With initial availability expected in 2018, the datacentres will deliver a range of cloud services, namely Azure, Office 365 and Dynamics 365, to SA and other Sub-Saharan markets. Zoaib Hoosen, MD of Microsoft South Africa, says this investment underlines the company's continued investment in the continent. The location of datacentres locally will enable a higher quality of service, performance and reliability, the company says. The news will also ease concerns around data residency and sovereignty. "The presence of local facilities will be greatly encouraging to South African customers, particularly those in regulated industries such as financial services and the public sector, where data sovereignty concerns are paramount. 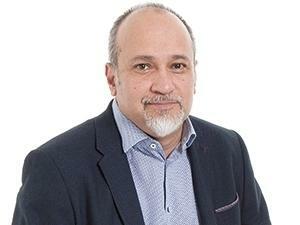 This is a strongly positive development for the cloud industry in Africa," says Jon Tullett, senior research manager, IDC MEA. Scott Guthrie, executive VP of the Microsoft Cloud and Enterprise Group. 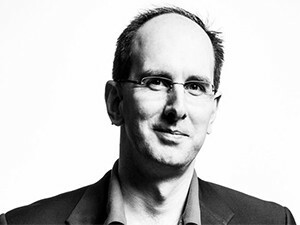 Scott Guthrie, executive VP of the Microsoft Cloud and Enterprise Group, says: "We're excited by the growing demand for cloud services in Africa and the ability of the cloud to act as a catalyst for new economic opportunities. "By delivering the Microsoft Cloud from within Africa, cloud services ranging from intelligent collaboration to predictive analytics will spur entrepreneurship and innovation, fuel growth for businesses of all sizes, and enable government organisations to better serve the needs of their citizens." Hoosen says that with the development of new workloads, such as artificial intelligence and IoT, having computing power closer will make a big difference. The announced plans for South African datacentres to serve Sub-Saharan Africa complement plans for two new datacentres in France, which are expected to serve North Africa, as well as parts of Europe. IDC says in a statement that Microsoft will be opting for a collocation option, housing infrastructure with an existing local datacentre operator. Microsoft however refuses to comment on the precise location or strategy at this stage. Hoosen would only say: "It is a Microsoft datacentre, operated by us, and there will be a local support centre." At this stage, it is unclear if local pricing will differ from the currently international fees. Microsoft claims its cloud infrastructure supports over a billion customers and 20 million businesses around the globe.